After their opening night 4-1 win against Union, the Terriers remain at #2 in the USA Today/USA Hockey Magazine Poll, which saw no change from last week in the top nine squads. 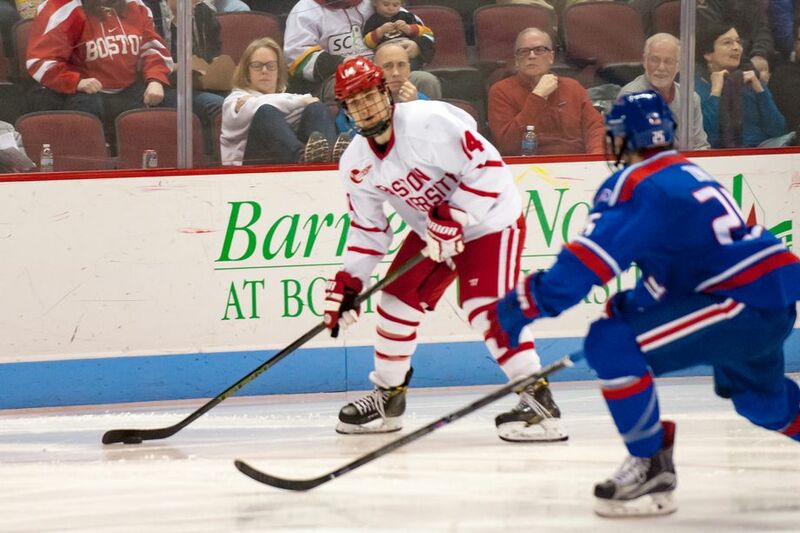 New England Hockey Journal profiles and interviews Terrier junior center Bobo Carpenter., who had 32 points (14G, 18A) in 38 games last season and is centering BU's top line this season. Patrick Harper's three-point night against Union earned Student-Athlete of the Week honors. ► USCHO's preview of Hockey East's 2017-18 season including individual team profiles and predictions from Jim Connelly and Dave Hendrickson. ►Yahoo! Sports’ Ryan Lambert examines the NCAA teams likely to challenge defending Division 1 champion Denver, beginning with the Terriers. ►NHL Central Scouting issued its Players to Watch list for the 2018 draft. Freshman Brady Tkachuk and 2018 recruit Joel Farabee (photo) received “A” ratings, while 2018 recruits Tyler Weiss and Jake Wise received “C” ratings. 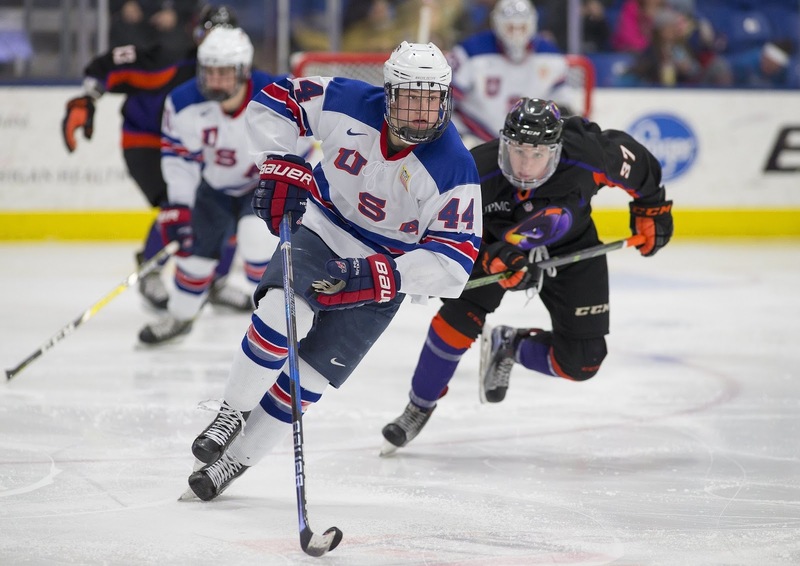 Farabe, Weiss and Wise all skate for the NTDP U18s, the team Tkachuk captained to the World U18 Championship last spring. 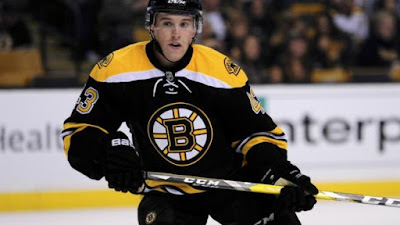 The Boston Globe’s Fluto Shinawa reports that, following the final roster cuts by the Bruins, Matt Grzelcyk has made the opening night roster as the team’s sixth defenseman, joining Charlie McAvoy, his BU defensive partner from the 2015-16 season. Jakob Forsbacka Karlsson was assigned to the Bruins’ AHL team in Providence. Nick Bonino, who missed all of Predators training camp, is expected to be ready to go when Nashville opens its season Friday against the Bruins. After winning back-to-back Stanley Cups with Pittsburgh, the former BU captain signed a four-year, $16.4 million contract with Nashville. He suffered a broken leg blocking a shot in game two of the Stanley Cup finals between the Penguins and Predators. Speaking of the Cup champion Penguins, there’s a familiar face to Terrier fans on the cover of USA Hockey Magazine’s October issue: Coach Mike Sullivan, captain of the 1989-90 Terriers..
Another former Terrier, Wade Megan, also has made an opening night roster after a strong showing in Blues camp. Megan led the AHL in goals last season. 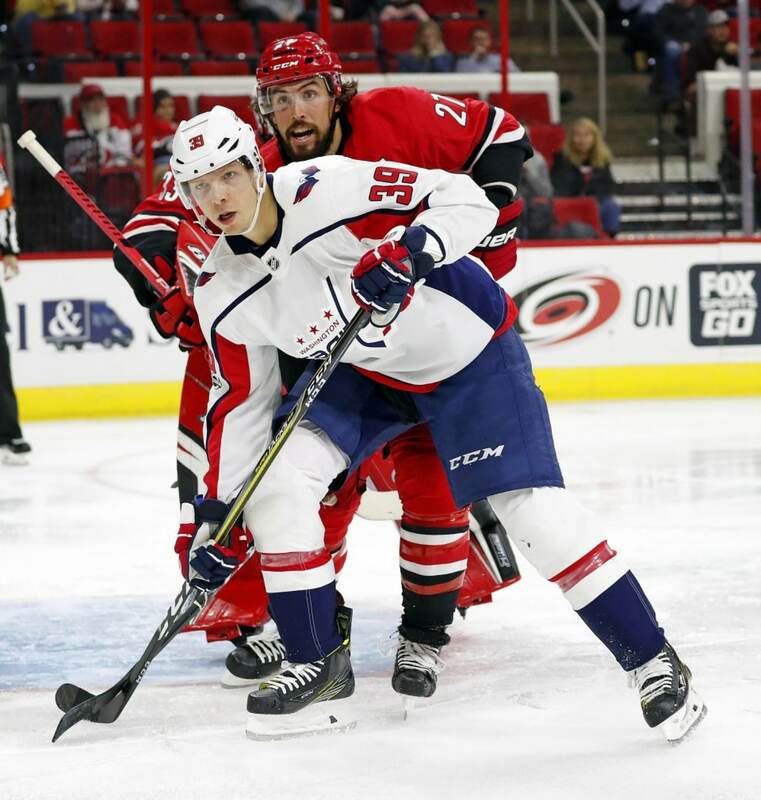 Alex Chiasson, who has been in Washington’s training camp on a PTO, is not yet on the final Caps roster, but the Washington Post reports the club is “working through” a possible contract for the power forward. UPDATE: Chiasson signed a one-year $660,000 contract with Washington and has been added to the 23-man roster. Two former Terrier defensemen from the 2009 national championship team, who had signed off-season free-agent contracts, were assigned to the AHL. 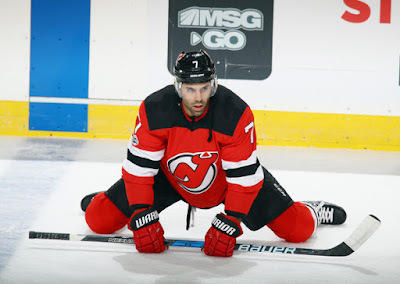 The Devils sent Brian Strait (photo) to Binghamton and Colorado sent David Warsofsky to San Antonio to begin the season. Evan Rodrigues, who had earned a spot in the Sabres line-up, was placed on injured reserve with a hand injury.